The word “mission” may seem out of place or even offensive. It doesn’t have to do with formalities or religion but in this context, it is the best word to describe what we do. There is no doubt that at the end of the day, the goal of a farmer, or any worker for that matter, is of economic nature. It is not the only goal but is one of the most important. We are farmers, agriculturists, oenologists, agronomists, cellar hands, tasters, salesmen but most of all, we are workers working closely with the land. Together with the land, we work hard, sweat, joke, laugh and cry…with the land we share the fruits of our labour and overall, we have mutual respect for each other. 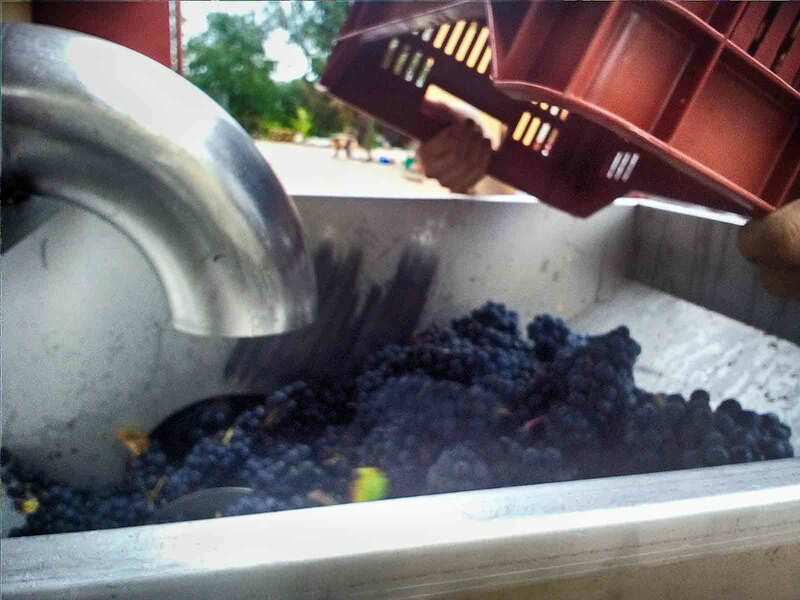 Our passion combined with what nature has offered us and what we safeguard everyday makes it possible to transform our grapes in to the nectar that many have highly spoken of, from Euripide to Ovidio, from Shakespeare to Baudelaire and from Hemingway to Dalì and Fellini. Wine is drunk to remember and not to forget. 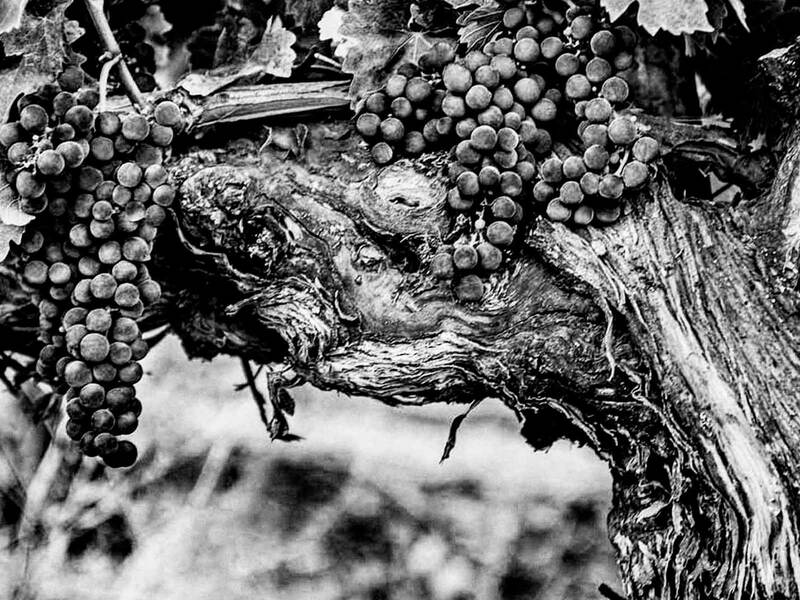 The terroir, by definition, is the enclosed area where the natural, physical and chemical conditions, the climate and geographic area associated with a particular varietal allow the realisation of a specific wine, unequivocally recognized and identified by its unique characteristics of its own territory. Soil and subsoil, with their geological compositions, microorganisms, fauna, intrinsic characteristics of the land, the changes they go through due to organic and mineral fertilization, water supply, climate, temperature, ventilation, exposure to sun and humidity and microclimate are all factors that determine the uniqueness of the wine produced from a specific varietal in a certain geographic position. The Oltrepò Pavese is a wide area located south of the Po river and its conformation reminds us to a triangol, in betwenn Piedmont, Liguria and Emilia-Romagna. Our Vineyars are located on the hilly side at an altitude between 200 and 300 m asl, the soil is mainly limy clay, with some sand in the top part of the hill and rich in minerals. The vineyards for white wine and sparkling wine production are north – north/west facing, instead the ones for full red wine production are south – south/est facing, that enables to have high alcool and nice body for long aging. The microclimate is very important factor, influenced by the trellising system, pruning, weed management, vine spacing and cane distace from the soil. The trellising system that we adopt is vertical shoot positioning and the vines are guyot pruned, the trunk is 60-90 cm high. We leave 2 spurs and one cane that is bind to wire horizontally. The cane has usually from 8 to 14 buds depending on the varietals. We have been adopting a controled weed management for the last 20 years to maintained the soil fertility. The weed is regularly mulched to act as natural fertlizer and improve the organic matter level. 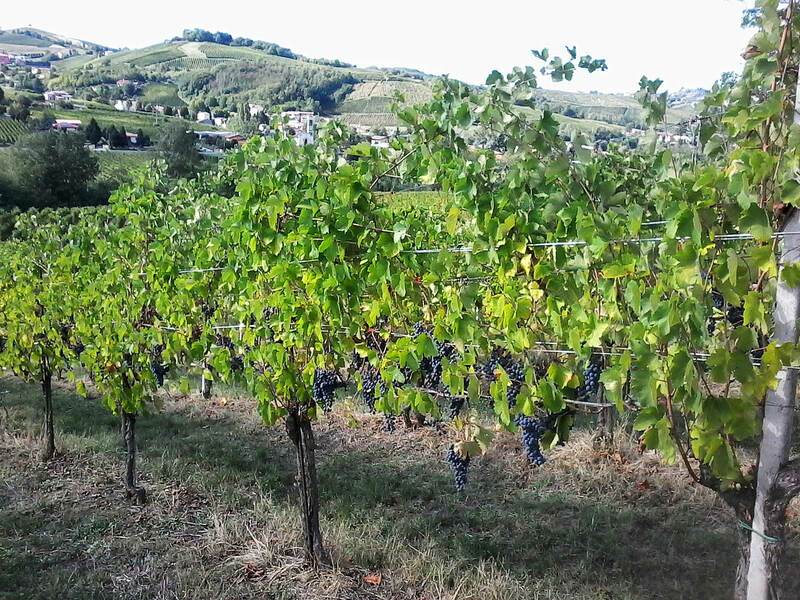 The vine spacing is about 80 cm to 1 m and 2,20 to 2,40 m.
The work of an entire year, the sun, the snow, the sun again, the rain, the sun again and finally the end of this beautiful story, where wise hands pick fruits, at their best expression, shy and semi-hidden behind the leaves. The same hand move to the cellar where a new life will start, a liquid one, where combined with the time the will make the miracle that it will give refreshments and happiness to whoever would like to have them.